We are pleased to introduce ourselves as a Company formed to manufacture “PESTGO-A Non-Toxic Bird Deterrent Gel” against bird menace in Technical Collaboration of M/s. Hughes & Hughes Chem Ltd. of United Kingdom. The products has been used successfully in India for last 25 years by over 1000 organizations, and majority of them have issued us performance certificates. 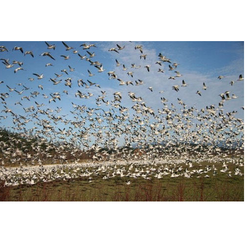 We assure you that our product shall eradicate the entire bird menace at the site where it is applied, whether it be manufacturing shed, storage area, godowns, or powerhouses. 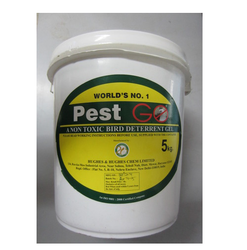 Pestgo Gel offered provides use as inert bird deterrent gel and finds suitability for prevention of bird colonization like of parrots, starlings, feral pigeons, crow, sparrows and others. The application of product creates unstable surface that is not liked by birds and thus deter their presence. Some of its features include harmless to birds and human beings, non-toxic and odorless, available in bucket packaging of 5 Kgs, world's no 1 pest control solution, suitable for use in areas like aircraft maintenance areas, ports and railway establishments, food processing factories, airports; contains no poison, can be applied to different surfaces like angled, flat, rough or smooth, water repellent, insoluble and immiscible finish. Packaging Details: Packing Size is 20 Kgs. which comprises of 4 Plastic Buckets of 5 Kgs. each in one corrugated box (CBS). Pigeon Spikes Deter pigeons from perching with our Ultra Violet Stabilized polycarbonate plastic spikes, which can be installed easily on virtually any types of surfaces. 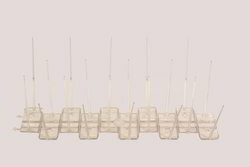 100% UV (Ultra Violet) protected, Polycarbonated Spikes, Non-Conductive plastic-will not interfere with electronic signals or communication system, Break Resistant-Rigid/Super Strong, and Special curved arrangement at base for better hold on any surface. Sectional base makes Pinnacle flexible-it can be used on virtually any surface be it flat, curved or vertical, Unique star arrangement for better fixation and adhesion. 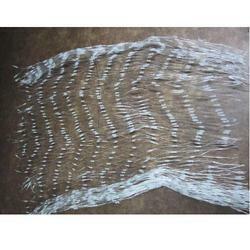 Anti Bird Net (40 x 100 Ft. Roll) offered come developed in nylon material finish and have mesh size of 50mm. made available in transparent colors, these nets co0me in sizes of 40 x 100 feet roll size and support the demands of preventing colonization of most types of birds like starlings, sparrows and others. Use in areas like balconies, open lobbies, buildings and others; nearly invisible finish, acts as barrier for preventing bird entry, polyolefin all weather-proof co-polymer finish, square mesh shape, all weather proof, UV stabilized finish, comes with border rope for extra strength. 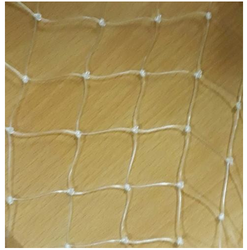 Anti Bird Net offered come developed in nylon material finish and have mesh size of 50mm. made available in transparent colors, these nets co0me in sizes of 40 x 100 feet roll size and support the demands of preventing colonization of most types of birds like starlings, sparrows and others. Anti Bird Net (3 x 300 Mtr. Roll) offered comes in HDPE finish and are of high quality so as to provide for consistent usage and longer service life. 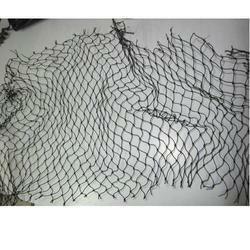 Having mesh size of 50mm, these nets are available in black and transparent colors and 3 x 300 meter roll options. 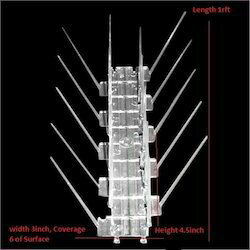 Some of its features include prevents colonization of most birds like , sparrows, feral pigeons; suitable for use in areas like balconies, buildings, courtyards, garages, parking areas; offer inexpensive and effective solution for stopping roosting/breeding of birds, provides for nearly invisible usage, supports working as barrier and preventing entry of birds, flame resistant finish, choice of polyolefin all weather-proof co-polymer finish, 1mm twine dimensions, square mesh size of 25mm x 25mm (+/-2mm) among others, all weather proof, UV stabilized finish. 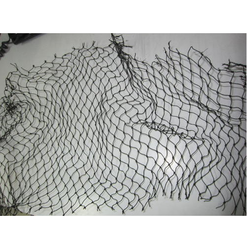 Anti Bird Net (10 x 30 Mtr. Roll) offered come in superior grade HDPE finish in mesh size of 25mm. e make thee available in black and transparent colors and in 10 x 30 meter roll options. These nets provide for perfect support in preventing bird like of feral pigeons, sparrows, and others. PESTGO-Nylon Bird Net is used for preventing the colonization of most types of birds like feral pigeons, starlings, sparrows etc. 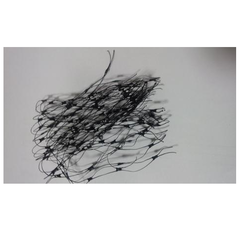 The product can be used at Balconies, Open lobbies, Buildings, Monuments, Courtyards, Rooftops, Garages, Parking Areas, Industrial sheds and hangers for preventing bird. 15 feet Width and 17 feet is Length. Anti Bird Net (10 x 30 Mtr. Roll) offered come in superior grade HDPE finish in mesh size of 25mm. e make thee available in black and transparent colors and in 10 x 30 meter roll options. These nets provide for perfect support in preventing bird like of feral pigeons, sparrows, and others. Some of its features include suitable for use in areas like buildings, monuments, courtyards, garages; offers inexpensive usage, machine made net that is all weather proof as well as UV stabilized, allows for zero maintenance, are easy to install by expert team, comes with support of border rope for extra strength & tie cords for easy installation, has shelf life of 10 years. Anti Bird Net (10 x 30 Mtr. 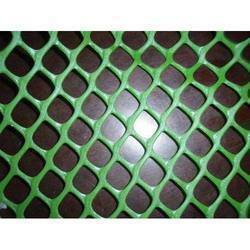 Roll) offered come in superior grade HDPE finish in mesh size of 25mm. e make thee available in black and transparent colors and in 10 x 30 meter roll options. These nets provide for perfect support in preventing bird like of feral pigeons, sparrows, and others. Some of its features include suitable for use in areas like buildings, monuments, courtyards, garages; offers inexpensive usage, machine made net that is all weather proof as well as UV stabilized, allows for zero maintenance, are easy to install by expert team, comes with support of border rope for extra strength & tie cords for easy installation, has shelf life of 10 years. Bird Fog offered comprises biological product that is designed to perfectly adapt to natural environment. Further, the use of biodegradable, non-toxic liquid is also harmless to birds and surrounding environment. Made available in one liter can size, it is water based and gets slowly released thus increasing its effectiveness. Some of its features include the smell released upon spraying makes birds uncomfortable and keeps them away from roosting places, harmless to birds and as well as environment, should be stored in cool conditions, comes with warranty period of 2-4 months depending on conditions. Airport Wailer offered come in exclusive finish standards and have wide demand in both national and international markets. The equipment comes with a program including 100 different electronic sounds and work as deterrence factor for birds around airports. Some of its features include emits natural bird calls and attack calls indigenous to area, compact bird control system finish with no moving parts, easy to program and handle, offering usage as environmentally friendly airport bird deterrent, comes with support of adjustable volume, unit switching on and off support using 24-hour timer/light sensor support, operates on 12 VDC or 110/220 VAC. 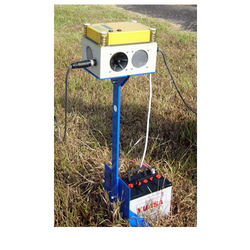 The Airport Bird Wailer bird deterrent system has been deployed in a number of major airports in the world.